Freshmen alert! : 2 free Mask and Wig shows this weekend! 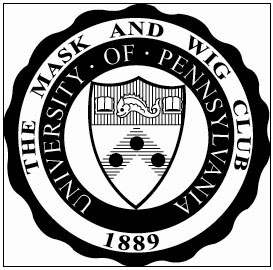 Attention Freshmen, if you haven't heard yet, Penn's Mask and Wig Club, the nation's oldest (119 years+!) all-male musical comedy troupe is performing for you guys twice (and for FREE!) this upcoming weekend. As an alum of Mask and Wig, it is my duty to let the freshmen reading this blog out there know that you're in for a treat. Mask and Wig's Free Show attracts audiences of over 1,000 freshman each year. As your only chance to see Mask and Wig for Free, it's a show you won't want to miss! Young men interested in joining the Club can attend the Schmoozer in Mask and Wig's Clubroom in Lower Quad immediately following the Free Show. For those guys interested in trying out for the group, auditions will be held on Monday, September 10th, at 5:00pm in The Arch.